Start your day with an invigorating self-guided walk along the National Park coastal trail between Marahau and Anchorage. Enjoy the lush native forest and golden beaches before emerging to a view of the beautiful Anchorage Bay. Meet your knowledgeable skipper on Anchorage Beach, ready to set sail at 1:30 pm. 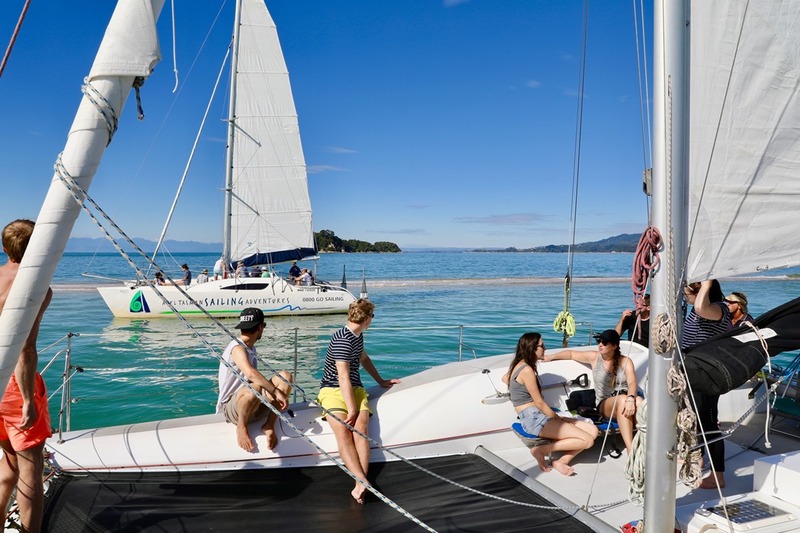 Then let nature do the work, catching the sea breeze and sail back through the best of the Abel Tasman coastline via secluded beaches, bays and estuaries to the resort community of Kaiteriteri. Free transfers back to your vehicle in Marahau are provided at the end of the day. This is a 3-4 hour self-guided walk. We recommend beginning your self-guided walk by 8:30am, check in with the skipper is then at 1:15pm on Anchorage beach.